Produced by Dnyanvijay Films production and Directed by Dnyaneshwar Kundalik Bhosle, the film ‘PARDHAD’ will soon be released for the audiences. 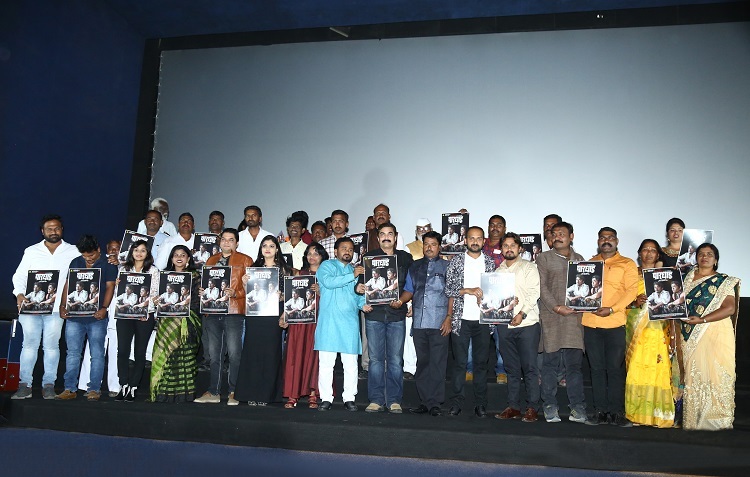 Poster Trailer launch event of the film was recently held at Pune with significant attendance from members of the Pardhi community. The film depicts the reality and heat of Phase Pardhi community. The film presents a factual report of how the Vimuka Jati and Nomadic Tribes have been deprived of the basic necessities of life such as food, clothing, and shelter. It will not be out of place to say that the autobiography of Mr. Dnyaneshwar Bhosle titled “Chouda Mahine Tera Divas” is the soul of the film. He has shouldered the triple responsibilities of story, production, and direction of the film ‘PARDHAD’. On this occasion Hon. Meghrajraje Bhosle (Chairman, Akhil Bharatiya Marathi Chitrapat Mahamandal), Social activist Mr. Girish Prabhune, Bhikuji alias Dada Idate (Pardhi Commissio, Government of India), Vijaya Bhosle, Manager (Bharatmata Adivasi Pardhi Vidyarthi Hostel, Mohol-Solapur) Meera Tai Phadnis (Swami Vivekanand Adivasi Chhatravas, Yavatmal) and Rajashree Kale, Corporation, Pune Municipal Corporation as well as main stars of the film were present at Mangala Theater, Pune. 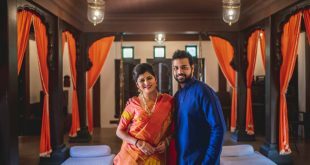 Considering a youth from Phase Pardhi community, Dnyaneshwar, striving for bringing his community at least to the human level, it is surprising that in the modern and fast-growing cities, we have people living in these conditions. This is a film to provide a new direction to the community which has been living with a lot of crime on their heads and under the weight of customs and traditions. Speaking about the film, Dnyaneshwar says, “Excepting an identity as a criminal, the people from this community do not have any other identity or a certificate. This is a community which has to go through constant humiliation and atrocities both from the society as well as Police. The same could not be contained in my novel and therefore I decided to project the reality and the heat of this humiliation through a medium such as a film that is ‘PARDHAD’ in order to reach a maximum number of people. I cannot find words to express the sacrifice and martyrdom of my wife and my sister. The same will be clear only after viewing the film. The screenplay and dialogues for the film are by Jahiruddin Pathan and Cinematography is by A. Reman Shaikh. Amar Parkhe has handled the technical direction. Mayur Roham is the executive producer. Suhas Panchal has handled Art Direction and Anup Kale is the Production Controller of the film. 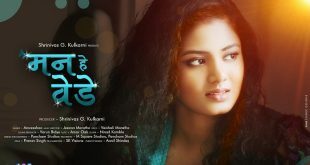 Music and background music has been set by Prajapati Bhise and lyrics are by Sikandar Mujawar. Singers Nandesh Umap, Sajan Bendre and Anjali Prajapati have presented the songs from the film. 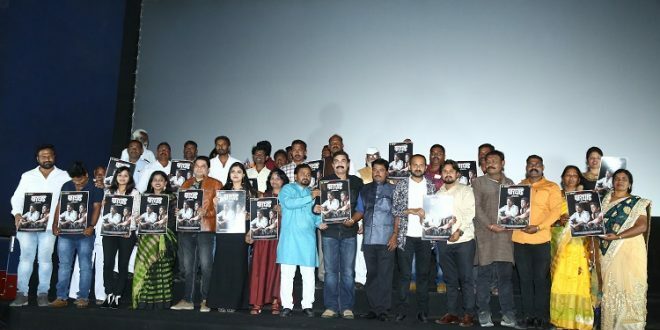 The all faces star cast of the film is Dhanajay Mandrekar, Sandesh Jadhav, Chetana Bhat, Kirti Choudhary, Manoj Takne, Deepak Chavan, Sheetal Kalapure, Sonal Ajgaonkar, Nisha Kale and Pradeep Kothmire.